Surprise AirMail: From The U.K / Renée Alexis. I came home to a very, very exciting parcel sitting on the kitchen table recently, posted all the way from the United Kingdom! After being partnered with a truly delightful blogger from the U.K, the two of us were given a rather mysterious mission: to source and send a secret package to one another. 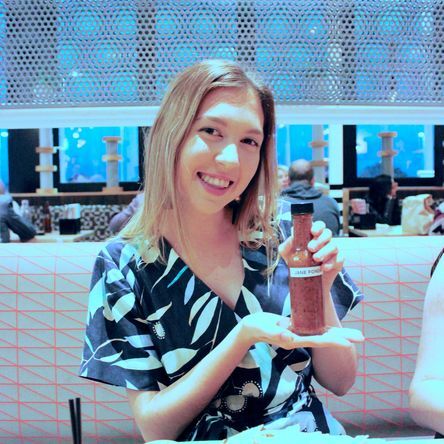 I was approached by the lovely Zoe from the #UsAndAus campaign, asking me if I would like to be involved in the AusTravel Blogger Gift Box Exchange*. There is a fantastic explanation of said campaign on their website, which you can pop over to here, here and here (Oh, and theres a fantastic interative map that compares different towns in Australia to the same named ones in the U.K, it's worth checking out!). Simply, the idea behind it is to get a glimpse at life's little luxuries on the other side of the world, which are tailored to each of our interests. This little exchange would basically consist of myself and a blogger from the U.K sourcing items from our own countries (that were preferably only accessible in said country) and shipping it off to our partner in an exciting little parcel. It was slightly intimidating having to buy something that my partner (whom I hardly knew personally, let alone met in person) would hopefully like and find useful! 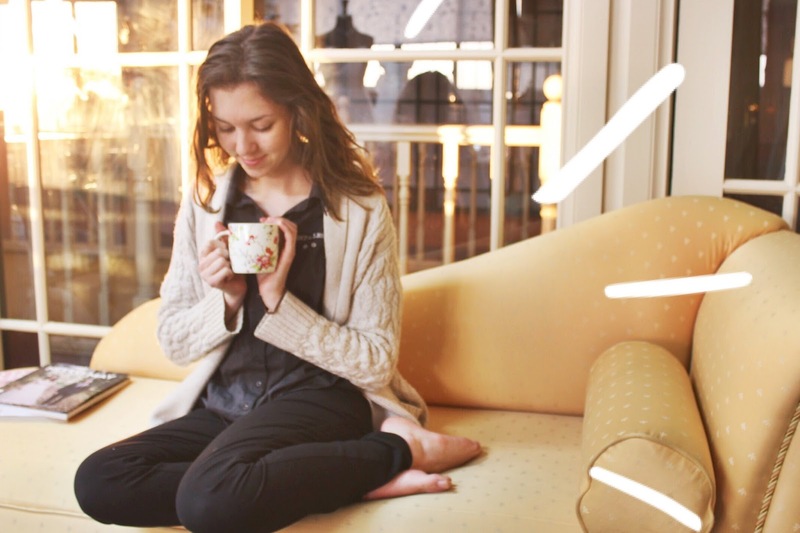 Luckily enough I was partnered with a really splendid lifestyle blogger named Emily. Like myself, she also blogs about an array of different things, from beauty to fashion and a bunch of different topics in between. Both of us love travelling and have a lot to say about it on our blogs as well. She wrote a really splendid post on what she recieved from myself over on her blog (you can pop over and check it out here! ), I am so, so thrilled that you loved your gifts as well, Emily! I'm really appreciative of Em noticing my adoration for flowers, as mentioned in the beautiful dainty card that accompanied the items in the package. The presence of flowers was incorporated into almost all of my gifts in the package, which was very, very sweet (she even sprinkled a few handfuls of colourful teeny shiny little stars in the parcel and hid a bunch inside the card, which was a lovely surprise to open!). Maintaining the British charm, Emily included a brilliant little flower tea cup in a pretty matching tin (both of which I refuse to ever part ways with). I've used it almost every single morning for my ritual forest fruit cup of tea with Brekky (except of course when it was sat in a forgotten load of dishwashing one morning, Oops..). Alongside it was an absolutely humungous cookbook, called The Great British Book Of Baking, which is fairly self explanatory and gorgeous little cupcake cases & pinwheel toppers to accompany it. The recipe book is filled to the brim with an assortment of British baked treats, with the likes of traditional scones to the reminiscent childhood favourite "Jumble" biscuit, almost everything in it would be the perfect side-kick for a cup of tea. To say I am very, very keen to get baking with this little goodie weapon is a complete understatement! The other two items in my Blogger Gift Box consist of lovely English homewares to put on display in our home. The first being a sweet plaque for a place on one of my walls that reads "Enjoy The Little Things" and has quite a bit of rustic charm about it! 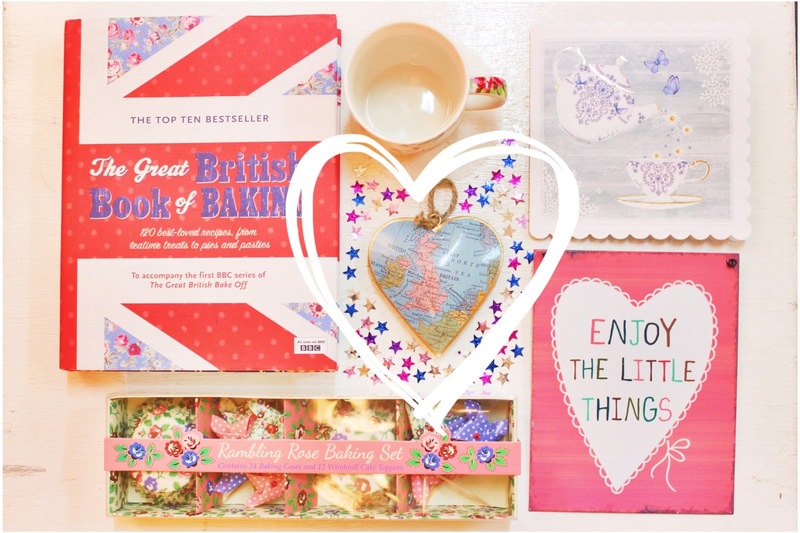 The final part of the gift box, is a heart shaped United Kingdom map, that is also wall hanging and perfectly rustic and is a rather thoughtful idea, no doubt will I place it somewhere where everyone can admire it as much as I already have! I'd just like to say another huge thank-you to Zoe and the rest of the great minds behind the AusTravel campaign, I'm incredibly grateful that I could be apart of such a brilliant, worldly idea. Not only was it a blast to go out and hunt for something for someone on the other side of the world in our sister country, but there really is no feeling like receiving a gift through the mail! Last but most certainly not least, thanks Emily, for being the absolute best partner in crime for our mysterious gift swap, you are a true gem, thank-you for the one of a kind bits and pieces which I will undoubtedly keep forever. DISCLAIMER: Compensation was provided by Sense PR via Blue Claw Media. The opinions expressed herein are those of the author and are not indicative of the opinions or positions of Sense PR.